Deciding on divorce is a big decision. You should understand that you aren't a bad person just because you think you want a divorce. Your spouse is not automatically a bad person because he/she may be causing you to feel this way (or so you may think), you're just people... plain and simple. You're reading this for a reason...because you have been thinking about divorce for one reason or another. Being in "limbo" is a horrible feeling because you can't really get rooted if you are in limbo...all you know is that you aren't happy and don't know what to do. You may feel stuck in a rut or feel like you are wandering aimlessly. Whatever the case, not being certain of what will happen can be tough to swallow and only contributes to your being unhappy. Another reason that this is usually a tumultuous and arduous time for people who are in this stage of life because it usually involves self-reflection and a heightened awareness that may never have been reached before in your life. This can be most difficult and scary, but I assure you it is healthy in the long run. When doing this "inward reflection", you may find out some things about yourself that you may not like. You may recall some things you had forgotten. You may realize that this isn't all your fault or you may realize that you had a hand in leading yourself here too. Whatever happens from here on in, your mindset has to be conducive to being brutally honest to yourself. Since this can be a gut-wrenching time in your life, you absolutely must realize that one serious danger you face is making the mistake of not being fully aware that people don't make clear decisions during heightened emotional times. You must remember that emotion clouds judgment and bad decisions are made when the wrong side of your brain produces something by using emotion rather than intellect. This cannot be stressed enough...when making any decision or thinking deeply about a concept, make certain that you are logical and impartial to the best of your ability. You must be comfortable with finding flaws within yourself and realizing that those are flaws that you agree with. You must be ready to admit self-guilt and self-fault, or this won't work. 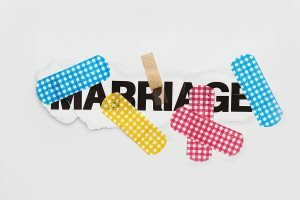 article by Karl Augustine, author of "A Practical Guide to Deciding Whether or Not to Get a Divorce" - a step-by-step action plan to help you decide if you should seriously consider divorce. Before you throw water over the embers of a relationship, be sure you don't need the warmth. If you're wondering if there still might be a chance for your marriage... that the love will return, then take some time to give it one more try. To help you get started, sign up for the free Save Your Marriage e-course and start doing the things that can turn your marriage around. You can also keep reading for more helpful tips.